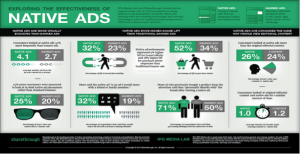 To me, native advertising is one of the most interesting and scary topics in marketing today. As a millennial, I’m pre conditioned to be wary of sponsored content because it seems forced and unauthentic so although I may have found out I’m more of a Carrie than a Samantha, I can’t help but feel tricked when a link to subscribe to HBO GO pops up after my Buzzfeed quiz results. However, I am a firm believer in consumer beware so hopefully this content (not sponsored by anyone, don’t worry!) 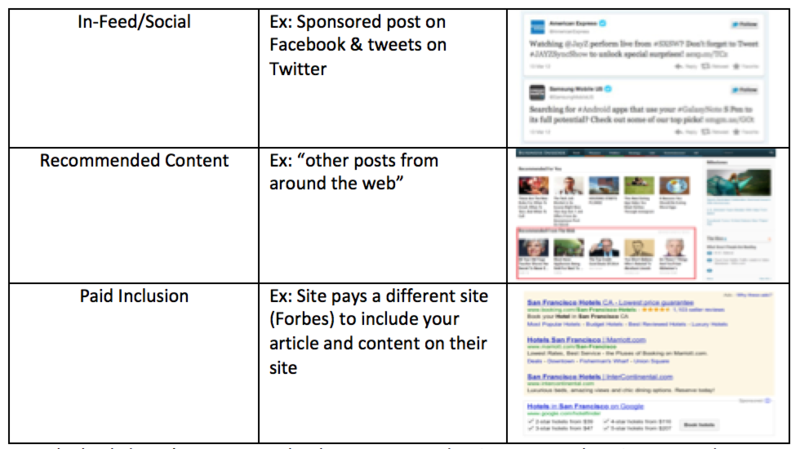 helps you think about Native Advertising in a fun way while teaching you a thing or two, too. 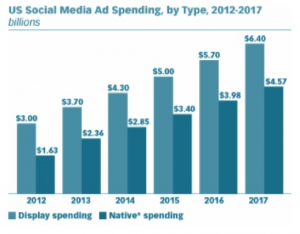 But the buck doesn’t stop on Facebook, Instagram and Twitter… YouTube, Pinterest and LinkedIn have also gone native! 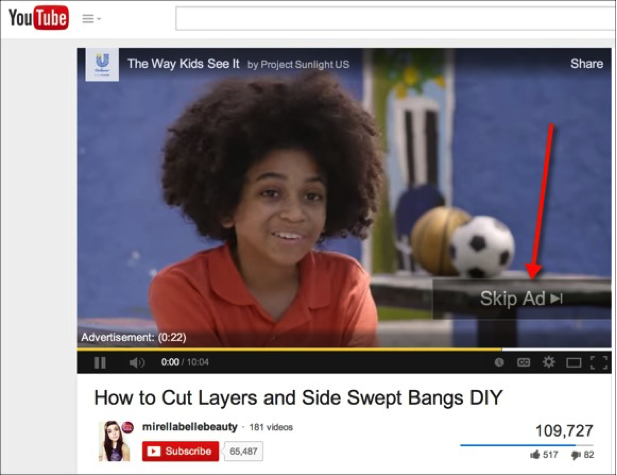 Just as Google has their paid search results, which you often find above the organic results, you can now pay to have your video be the #1 result on YouTube when certain keywords are searched. But, this shouldn’t surprise us considering YouTube is owned by Google. But doesn’t Google own everything? 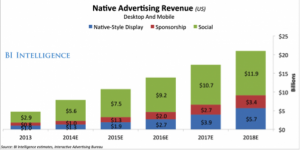 Now that you know a little bit more about native advertising, keep in mind that it isn’t going away anytime soon. With only $1.3 Billion spent on it in 2013, it’s expected to increase almost tenfold by 2019. And it isn’t because the Mad Men like to trick up, but rather because it’s increasingly bringing in higher revenues than other forms of advertising. MY OPINION TIME! 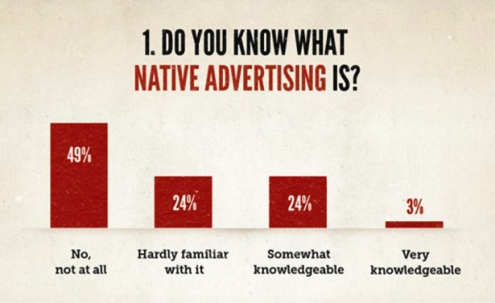 The reason I think Native Advertising is so cool and innovative is because as a consumer, it keeps me thinking. It forces me to be on high alert when reading an article or watching a video and I think that’s what I need. In today’s society (what a general phrase, ugh) we’ve become so complacent in our consumption- basically, reading an article is equivalent to eating popcorn during a movie, it becomes this sort of automatic movement. Our heads swell and become full with all of the kernels of information and we sometimes don’t realize that we’re full until it’s too late. I give kudos to sites like BuzzFeed which assimilate the sponsored content so well that even I, a marketing student at a Big 10 university (GASP!) fall victim to its seemingly deceiving devices. 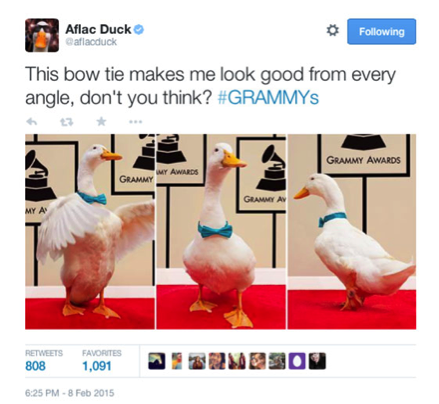 However, I think the best I’ve seen goes to People Magazine and that annoying AFLAC duck. While reading People magazine, I turned the page to find the section which highlights provocative and fun celebrity quotes from the previous week. I believe it’s called Chatter. Anyway, as I was reading along and looking at the accompanying photos, I noticed a white domesticated duck. I thought, “Oh, I wonder what movie it’s from- how funny!” but soon realized that AFLAC had placed the duck with the rest of the celebrities and quotes like it was no body’s business. The duck’s quote was something along the lines of insurance and as you can hopefully tell, it was a native ad. I’m kicking myself for not remembering which issue or tearing the page out to have proof but I can honestly say I was impressed. And to me, that’s what is so fun and exciting about Native Advertising, there truly are no limits. 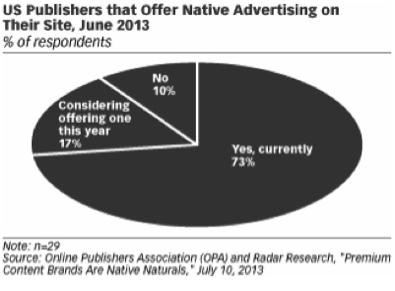 So as I bid farewell, you can feel any which way about Native Advertising as long as it’s not uninformed. As consumers, it’s our duty to stay mindful of the content we creating, consuming and sharing because if you don’t- who will? Rylee Moder is a Marketing student at the University of Wisconsin-Madison who likes to talk about “her shows” and take snapchat videos of her cats, Melvin and Gordon. You can catch her taking a nap most of the time but if you’re lucky, you can connect with her on Facebook and LinkedIn because Instagram is just too cool for her.